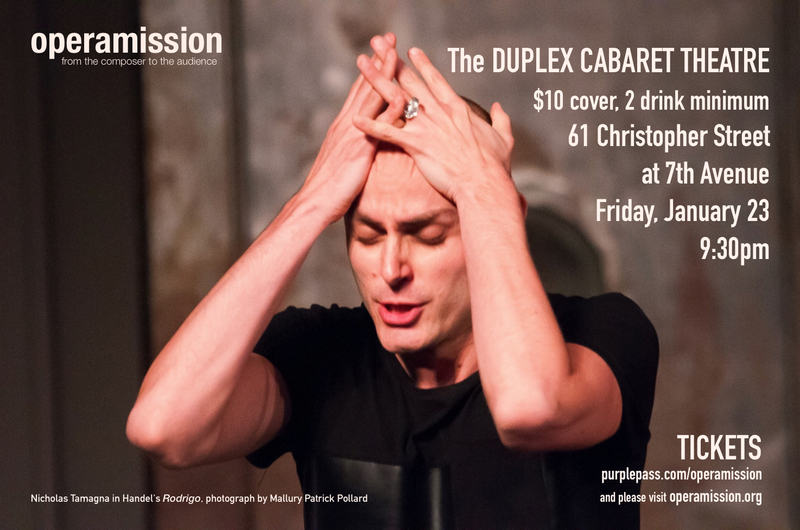 The Duplex is hosting Operamission and some of the world's finest and most distinguished operatic countertenors in a richly diverse program. Biraj Barkakaty, Eric Brenner, Daniel Bubeck, Ray Chenez, Aryeh Nussbaum Cohen, David Dickey, Douglas Dodson, Brennan Hall, Joseph Hill, Charles Humphries, Michael Manning, Andrew Rader, Derek Lee Ragin, and Nicholas Tamagna. Features: The American Symphony Orchestra, Bard College Conservatory Orchestra, Bard Festival Chorale, Bard Chamber Singers, Bard Graduate Vocal Arts Program, and Longy Chorale. The New York Composers Circle is an organization of composers and performers, dedicated to new music, whose mission is to promote public awareness and appreciation of contemporary music through concerts, salons, and other events in the New York metropolitan area. 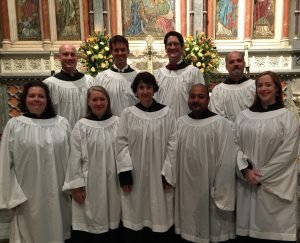 The choir of St. Ignatius Loyola traces the last moments of Jesus' life through plaintive Gregorian Chant and intricate pieces for unaccompanied choir from the 16th and 17th century by Purcell, Lassus, Lotti, Gesualdo and others. See complete repertoire below. The choir tours Paris and Normandy. Biraj joins the chorus for the first theatrical adaptation of Tom Wolfe's era-defining novel. This new opera, as large in scope as New York itself, takes on the universal socioeconomic tensions of the island that is home to both Wall Street and Harlem. With a twist of rock and piercing wit, opera demolishes Wall Street in this groundbreaking adaptation of Tom Wolfe's classic "The Bonfire of the Vanities". Trader Sherman McCoy invents a bond so hot it propels him to the top of the financial world. But just as he scores the highest bonus and the sexiest mistress, he gets sucked into a scandal that brings all of New York City crashing down upon him. All Rights Reserved © Biraj Barkakaty 2013.